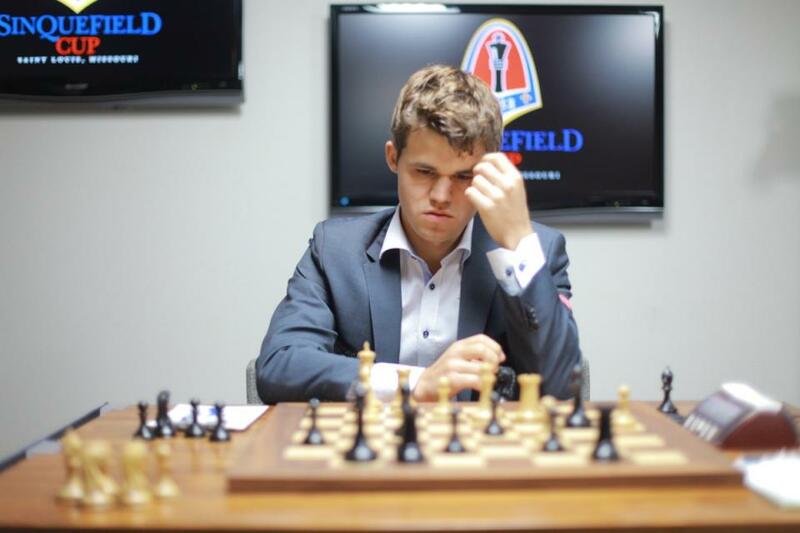 The recently finished Sinquefield Cup is going to attract chess players' attention for a long time. Mostly, chess analysts will concentrate their efforts trying to explain the phenomenal result of Fabiano Caruana. You can read my version here. It is very unusual to see a tournament where Magnus "the Magnificent" Carlsen is not the main media magnet. Despite being in the Caruana's shadow the whole tournament, Carlsen still produced some good chess and came second. In the process, he demonstrated his trademark hypnotic skills. "I don't see that Carlsen has the best chess ability and I can't understand at all how he achieves such incredible success. I can guess why, but it's got no direct relation to chess. In the chess world there are a few people with absolutely incredible hypnotic abilities. Not so long ago I wrote in one of my books that there were three chess players in history who could (or can) read thoughts of their opponents: Tal, Mecking and Carlsen. That's what, I think, explains the Norwegian phenomenon. He reads thoughts!" Now look at the position from the game Aronian-Carlsen played in the Sinquefield Cup to see what Korchnoi was talking about.